Nicholas was born and raised in Casper. He is an alumnus of the University of Wyoming and the University of Texas where he earned his Bachelor’s and Master’s Degrees in accounting. 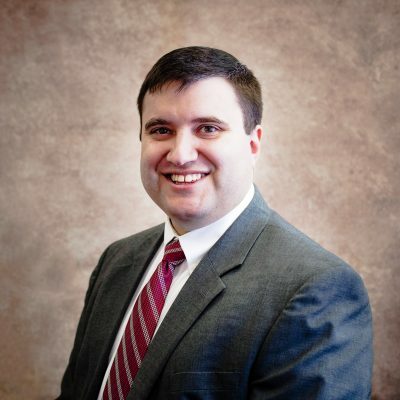 Nicholas earned his CPA license and started his career with a CPA firm in Laramie, Wyoming in 2004. In 2013 he moved back to his hometown and joined Grooms & Harkins, PC. In his spare time Nicholas enjoys traveling with his family and shotgun sports (trap shooting and sporting clays). Nicholas currently serves on the board of the Casper Area Economic Development Alliance, the Casper Downtown Development Association, the University of Wyoming College of Business Advisory Board, the Wyoming Society of CPAs, and is active in many commissions at his church. Nicholas is a member of the Wyoming Society of CPAs and the American Institute of CPAs.